Photos provided by Barb Heiss, Robert Taylor, Patricia Gonzalez, Jim Clatterbaugh, Howard Harris, Maxine & Steve Wrzesien, Jerry & Susan Armelino, Mark Willhelm, Richard Sheffield and Kevin Slick. 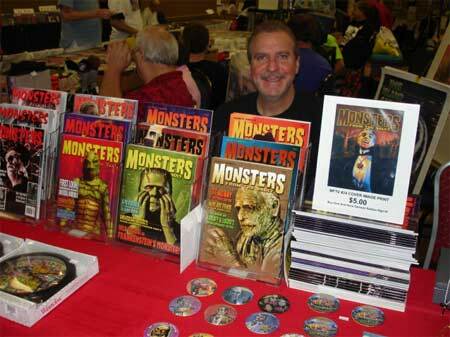 Jim Clatterbaugh of Monsters From the Vault at Monster Bash in the Dealer Ballroom! 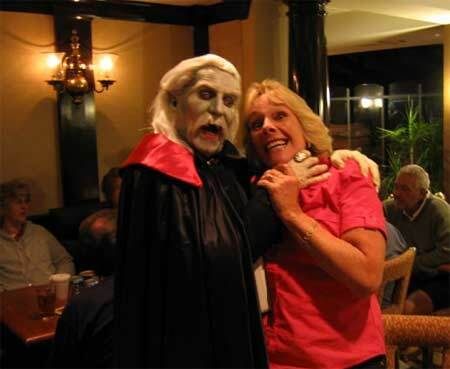 Vlad - Dracula (Timothy Herron) comes to grips with Dee Ankers-Denning at Monster Bash. 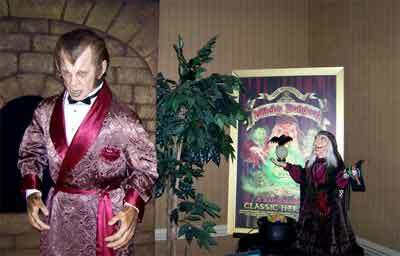 The Werewolf of London looms at The Witch's Dungeon display at Monster Bash. 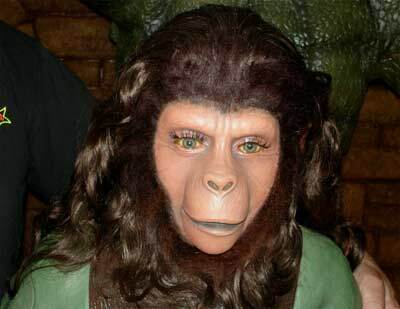 Timothy Herron does make-up jobs on the kids - Willow and Paisley. 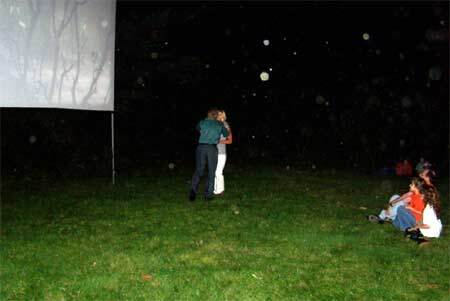 The spotlights go up and show The Wolf Man attacking Evelyn Ankers' grandaughter, Summer, in a re-enactment of a scene from THE WOLF MAN outside near the woods behind the hotel during an outdoor screening. 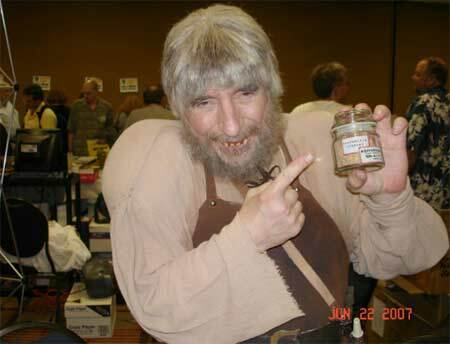 HH Wolfman in the Dealer Ballroom! Ygor is proud of his brains...they were mighty cool. 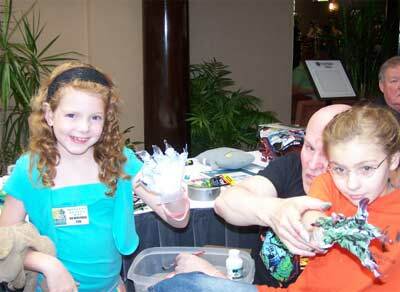 Actress Yvonne Monlaur with fans at Monster Bash. 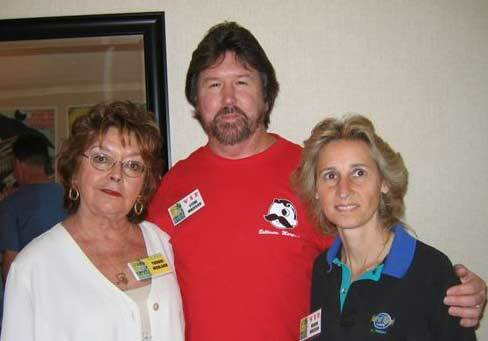 Zira monkeys around in the lobby thanks to Jerry and Susan Armellino. 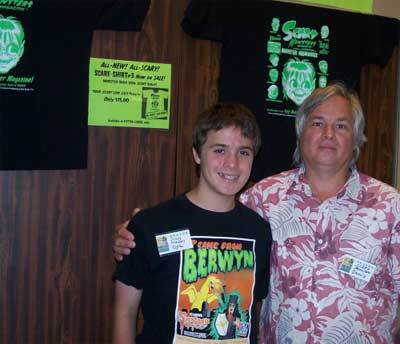 Dylan and Dennis Druktenis from Scary Monsters rock the Bash. 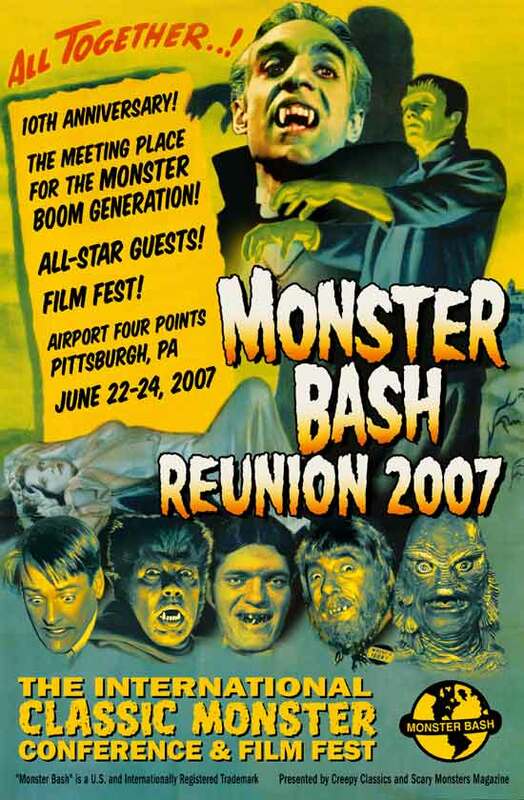 German Robles is presented a large plaque of Robles on the cover of MFTV magazine with metal engraving citing his appearance at Monster Bash. L to R: Richard Sheffield, Ron Adams, German Robles and Jim Clatterbaugh. 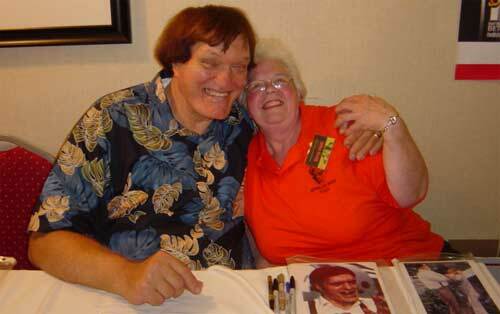 Richard Kiel with Marge Vogan in one of the Guests of Honor rooms! 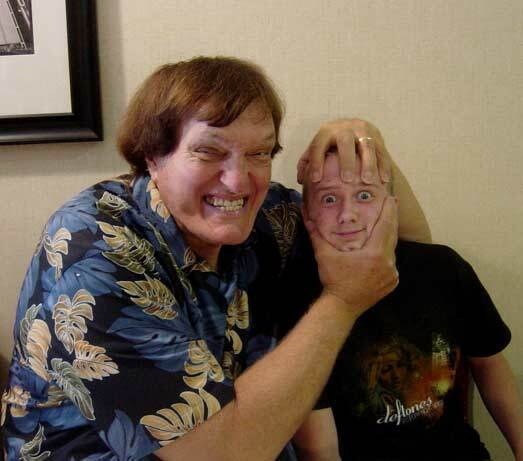 One of the great photos of Richard Kiel with fan Travis! 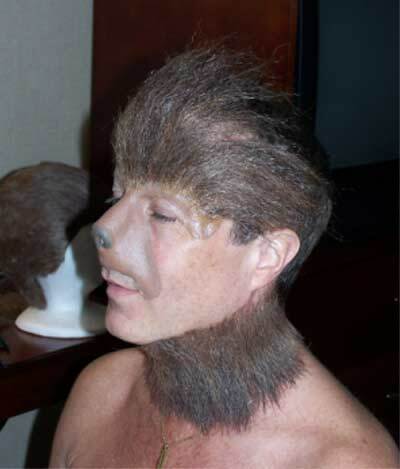 Wolf Man make-up being applied to Mark Statler by Michael and Christina Thomas. 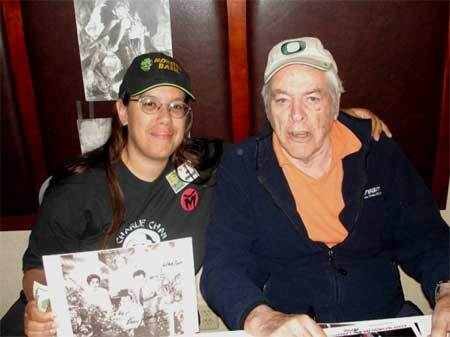 A motley crew Saturday night at Monster Bash: Richard Sheffield, Ygor (Michael Thomas), Kenny Miller, Summer (Evelyn Ankers granddaughter) and The Wolf Man (Mark Statler). 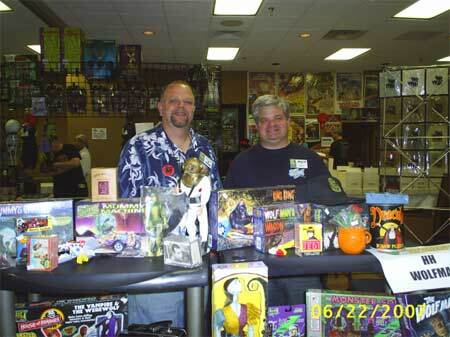 Pat Gonzalez and Kevin McCarthy at Monster Bash! 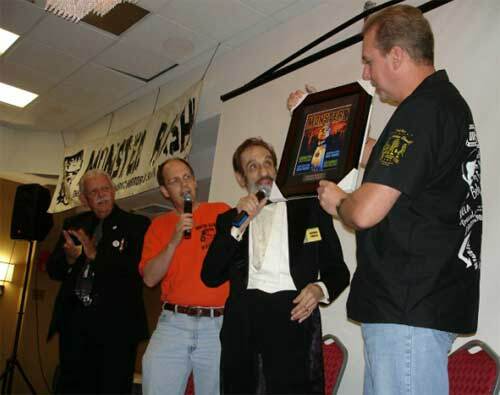 Elvira signing autographs at Monster Bash! 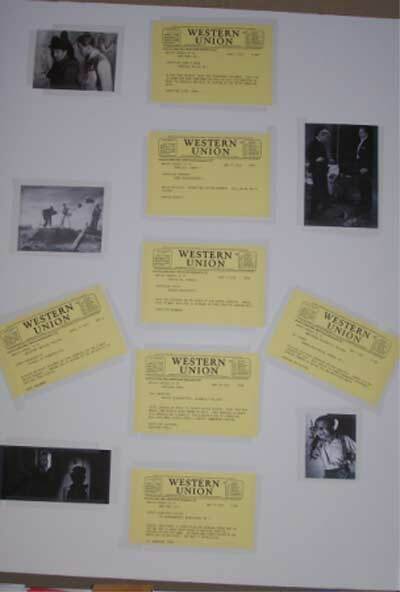 Display near Monster Bash Registration featured "Western Union" telegrams from people like Carl Denham, Professor Waldman, Van Helsing, Charlie Chan and others....courtesy of Pat "Ghoulchic" Gonzalez.